Just heard a news story announcing that Britain has released a new study showing that for women with normal pregnancies home birth is significantly safer than hospital birth. Great ‘news’, but not new at all! The majority of babies in Britain have been born at home-on purpose-for decades. Babies and moms are immune to the germs in their own home, blood pressure and other stress factors are dramatically higher in hospital settings, and there is less pressure on mothers and physicians to prematurely use drugs or other interventions. The same information was available in the 1980’s, when I was having babies at home. This time, however, a Harvard professor of medicine agreed after reviewing the study, and comparing American statistics that show our birth outcomes consistently getting worse for mothers and babies. An opponent blamed things like poor access to pre-natal care and good nutrition in America-REALLY??? By comparison, Haiti and most third world countries deliver a higher percentage of healthy babies with safer outcomes for moms as well. Why? The Harvard professor said that moms in America essentially give birth in an Intensive Care Unit, surrounded by surgeons, all looking to intervene in what is a natural process rather than a disease. In other health-care systems interventionists are simply standing by in case there is an actual need for their services. It was great to watch one daughter-in-law make her unexpected decision to have her baby at home. When she found out she was pregnant, her first words to my son included “but don’t talk to me about home birth and that kind of crazy stuff. I want to be in a hospital where I know I will feel safe.” A couple of months later my son was hospitalized after a reaction to one of the shots required by his job (a military specialty field), and she spent the night in the hospital with him. Sitting there, watching his care, she started asking herself if she really wanted a brand new baby to be in that ‘sick’ kind of environment, and decided to investigate birthing centers. A few weeks later she had a pre-natal appointment with a physician at the center, who had initially told her that all of the decisions about labor and delivery would be up to the parents (they live in Washington State, one of the most liberal medical and social approaches in the country). At this appointment she started getting pressure to do many of the things she had been told were ‘up to her’-like a fasting blood sugar test even though her numbers were perfectly normal and there were no other symptomatic indications of any imbalance. She decided to talk to a home-birth midwife (which Washington actually supports!) and felt her peace for the first time. She delivered a beautiful, 8 pound baby girl with no complications after a very long, hard labor which would undoubtedly have been a Caesarian delivery in a hospital setting. Look at “Matthew’s Story” on my website for my experience in a hospital with the birth of my 9 week premature son, who left the hospital in a week and a half. One of the most bizarre medical comments I have ever heard was the doctor saying “well that’s the beauty of having them in here; we get to see how they respond when we try something new” in response to my tiny son’s extreme reaction to ‘routine’ caffeine infusions. With all of our talk about women’s reproductive rights in this country, it is time for us to take ownership of birth. 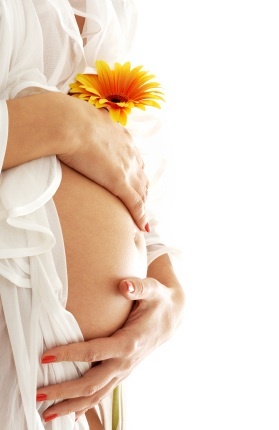 We have the power to deliver healthy babies-we just have to believe it is so! A client of mine emailed me this inquiry about stress and hormone issues recently and I thought it would be helpful to share my response. My response: I think I would add 3 evening primrose oil after checking you, and remember that licorice root is key for anti-histamine stability. The almond milk isn’t quite as high in fat as the dairy and you need plenty to make your hormones. It’s also helpful for immune response…which is also fat dependent. Do you want me to send you a flower essence as well?? Okay so I’ll continue with the adrenal support @ 2 and the wild yam @ 2 – continue the l-lysine and the panothenic acid. I stopped taking the licorice root – hmmm not sure why – lol and will add the evening primrose. I needed that reminder about the fats for my hormones. I am now using half milk and half almond milk in my shakes – got to thinking about it (I over think things sometimes! lol) and remember that nuts will cause me to have a breakout on my hand if I eat too many so wasn’t sure if that was contributing. I need to place a NS order so I’ll add evening primrose and continue the rest? licorice root? and YES to a flower essence and please let me know what I owe you!!! Thanks a million Kim. You don’t know how good it feels to be able to go to you and get these scans done/advice, etc. When are you coming up this way? We need a retreat to happen!!!! Kim – an added note that I didn’t think of – I was taking 25mg of DHEA – I have been told since that I may have been taking too much – it is what they said when I was on the bio-identitcal hormones and did all the blood work. Anyway – I’ve been off of it for about 3-4 weeks and wondering if that did attribute. Ordering today if possible – let me know if adrenal support, wild yam, pano acid and evening primrose is all i need to order….licorice root still have some. Thanks a bunch kim! Me: That could be the bulk of the issue!! If your glandular system is properly supported (which the supplements you tested for are intended to do) then your body should be making enough DHEA. As you know, I am not a huge fan of “bio-identical” hormones. In the first place, I don’t believe we can duplicate anything in the body. Beyond that, hormone levels can and should fluctuate on a daily (hourly!) basis. The adrenals, liver, and thyroid gland are also factors in hormone health and taking a female hormone substitute doesn’t address those organs. Taking any one hormone will affect levels of many others. The basic premise that we need to keep our hormone levels the same as we age seems counter-intuitive to me; would you like to be pregnant in your 50’s or 60’s? If not, there is not a reason, in my opinion, to attempt to artificially replicate hormone levels appropriate to that function. I have an inherent belief that we were correctly designed, and that artificially high hormones are necessary for us to be well as we age and pass into menopause. I’m in Austria and have just realized that I AM PREGNANT!! [Our friend] recommended some Brewer’s Yeast, which I found. Any other suggestions for staying healthy and strong would be great! 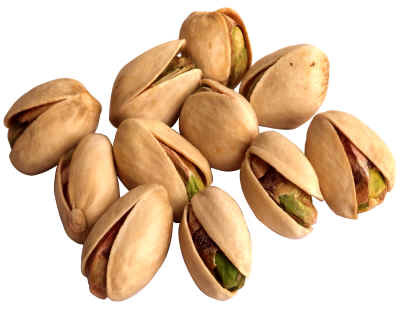 Another great new nut study….2.4 ounces a day of pistachios significantly reduced markers for lung cancer, and likely provides protection from other cancers as well. I mentioned earlier that nuts provided fatty acids that help balance hormones and support the liver. Actually, the brain, the thymus gland (which regulates immune response) and the liver are all fat-dependent, as are the reproductive organs. Three huge health issues in America are nervous disorders, from depression to ADD; immune disorders ranging from auto-immune issues to cancer; and hormone imbalances from PMS to infertility. We just all need to GO NUTS! A recent study in Australia reviewed Testosterone levels in men over thirty. From the TV commercials you would think that low testosterone is not only an epidemic, but the major cause of every health problem experienced by men over 40. WRONG! I am considering consulting with you on 2 issues. The first one is heavy (prolonged) periods with spotting due to small fibroid and the second one is panic attacks/emetophobia/OCD. I am currently taking 50mg of the SSRI Prestiq and .25 of Klonopin daily for anxiety/OCD. Are you able to work with me as I am currently on these meds? I cannot stop taking Prestiq or Klonopin as I have to wean off of the drugs and the last time I discontinued meds I had a severe meltdown. Does the Nature’s Sunshine Parasite Cleanse contain estrogens? No. Nothing in it is considered remotely hormonal in traditional use. Actually, there are no estrogens in plants, anyway, at least not that can be used by people. So-called “estrogens” in plants, like were supposedly in black cohosh (phytoestrogens) have been found to NOT actually bind to estrogen receptors in the body, so there is a mystery now as to why it relieves hot flash symptoms in women. My guess is that, among other things, it increases cell oxygenation, since it has also traditionally been used for pneumonia and snakebite (in men and women!). Soy may be a partial exception, but remember that it is not a naturally occurring plant, but a hybridized mung bean created by humans in the 20th century. It is also very likely to be high in pesticide residue, which has a risky estrogenic profile (xenoestrogens, which can’t be processed out by people).